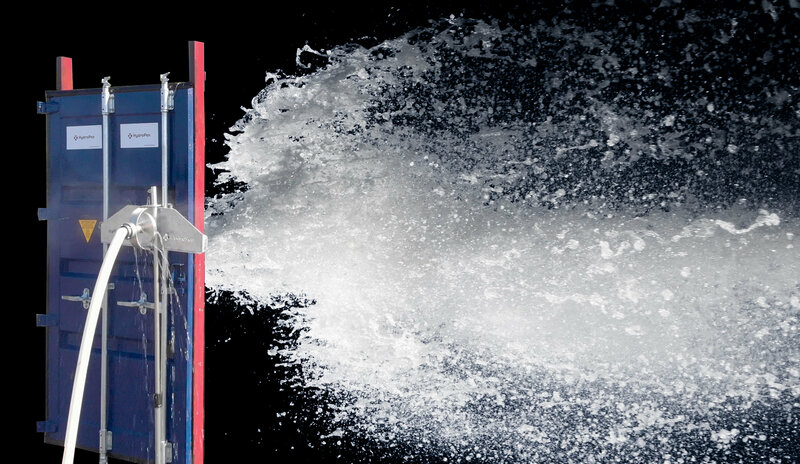 22 August 2018 – VIKING is now the worldwide distributor for Rosenby Engineering’s revolutionary HydroPen™ System, which enables crew to safely and efficiently tackle costly container fires at heights. Maritime safety equipment manufacturer and global servicing provider VIKING Life-Saving Equipment has signed with Rosenby Engineering to exclusively distribute the award-winning Danish startup’s HydroPen™ fire extinguishing system for container vessels. 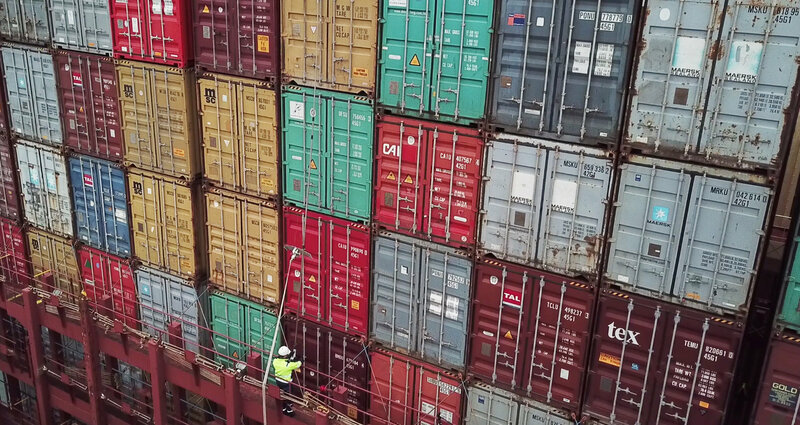 VIKING’s Product Management and New Building Director, Jørgen Holm, sees the HydroPen™ System as a leap forward for protecting container vessels, their cargo and crew from one of modern shipping’s most hazardous situations. With many dangerous, sometimes insufficiently declared goods in transit on today’s container vessels, a container fire can put crew, cargo and a shipowner’s business at serious risk. Such fires are extremely difficult to target with current methods, and the task becomes even more difficult when the burning container is high up in the vessel’s container stack. Jørgen Holm is confident that the new agreement with HydroPen™ inventor Rosenby Engineering will bring added peace of mind to VIKING’s customers around the world. “Our exclusive distributorship of the product will ensure the HydroPen™ System benefits can reach shipowners around the globe, providing increased protection for both people and business,” he says. 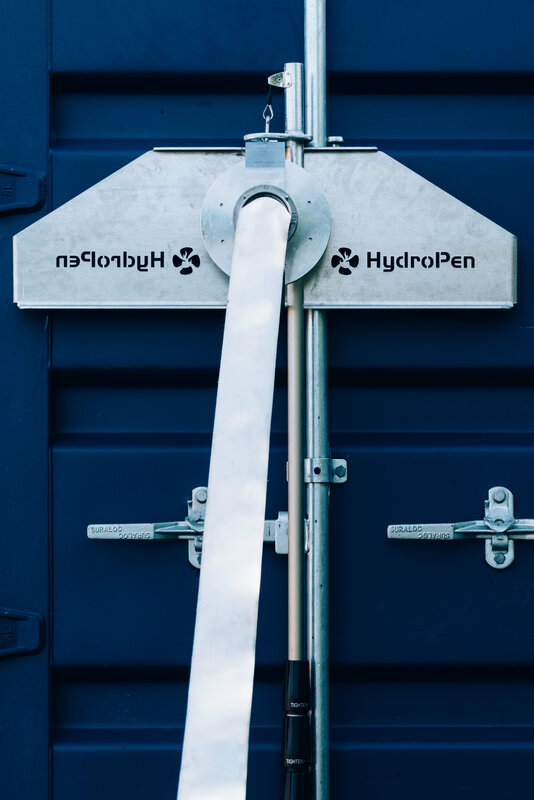 Powered solely by water pressure from the fire main, the HydroPen™ System is an intelligently designed, water-based drilling machine that is able to drill through a standard steel container door, then switch mode to spray water profusely inside the container. All crew need to do is to hoist the HydroPen™ drilling/spraying unit up using its telescopic lift to the doors of the burning container. The drilling and extinguishing process is then carried out automatically and with minimal risk to the crew. With 2,000 dedicated employees and a network comprising 72 branches, 262 certified servicing stations, multiple agents and stock points worldwide, VIKING is a truly global provider of safety solutions in all significant markets and locations. Established by experienced industry professionals in 2016, Rosenby Engineering develops high-quality solutions for complex problems in the marine industry. Their HydroPen™ System is their latest product developed with an aim to improve container fire safety and reduce risk to crew, vessel and environment. The company recently won the Danish Tech Challenge competition for hardware start-ups, receiving a substantial monetary prize awarded by HRH Crown Prince Frederik of Denmark to help them continue the development of innovative products in the maritime industry.